ST. GEORGE — A LaVerkin man suspected of attempting to kidnap a Hurricane High School student at gunpoint Wednesday morning made his first court appearance in St. George Thursday. The incident triggered an immediate lock-down for six Hurricane area schools and a regionwide search by several law enforcement agencies for the suspect. 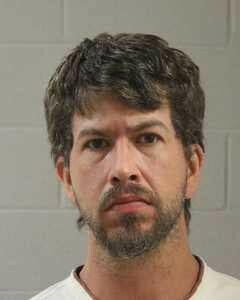 Earl Brandon Chappell was arrested Wednesday evening within about 13 hours of the attempted kidnapping. Chappell is charged with aggravated kidnapping and possession of drug paraphernalia. According to court documents, Judge John J. Walton appointed attorney Douglas Terry to represent Chappell. Walton further ordered that the $100,000 cash bail that had been imposed upon arrest should remain in place. Chappell’s next court appearance is set for Monday at 2:30 p.m. in 5th District Court. According to the probable cause statement released by the Hurricane City Police Department in support of Chappell’s arrest, Chappell pulled a gun on the student as she was walking to school and told her to get in his car. The girl screamed and ran away, and two witnesses to the attempted abduction gave police a description of Chappell and his car, Hurricane City Police Officer Steve Johnson said in the statement. Photos and information obtained during the investigation led detectives to positively identify Chappell as the suspect involved in the morning incident, Hurricane City Police Sgt. Brandon Buell told St. George News Wednesday. Chappell was found in LaVerkin, where he was detained without incident. He was questioned there and then taken into custody by Hurricane City Police with the assistance of the LaVerkin City Police Department. Buell, public information officer for the Hurricane City Police Department, said there is no indication the high school student has any involvement or ties to Chappell. Buell said he is pleased with the cooperation and help the public and media provided in locating Chappell. “It was amazing to see the support of the community. It was great to see the interest the community took in this,” Buell said. “We appreciate the community support, the diligent work by the officers, and the support of the media getting the information out as quickly as they were able to,” he went on to say.